When you’re northern, you’re northern forever and you’re instilled with a certain feel for life that you can’t get rid of. You just can’t. The very early sixties: my grandad, with a Yorkshire practicality and foresight demonstrated daily in his job as a loom tuner, bought my aunt, far younger and cooler than my mother, a reel to reel tape recorder. In grandad’s view, her pocket money was to be saved for more important things, because records were a waste of cash: you could just stick a mono crystal microphone in front of the radio and record all those new-fangled bands you liked, and when you got bored with them, just tape over the songs with new ones. The recorder got plenty of action a few years later, when my aunt developed into a fully-fledged Beatlemaniac and the Fab Four started to dominate the airwaves. The number one Christmas record in 1961, however, was a much smoother sound. South African singer Danny Williams took an Oscar-winning tune by Henry Mancini and Johnny Mercer, sung by Audrey Hepburn in Breakfast at Tiffany’s, to the toppermost in Britain. I was 18 months old. There is a recording which still exists, acquired on reel to reel, of me singing along to Moon River. “Well, you complete the lines of the song, really.” says my mother. At that age I obviously wasn’t yearning for the future, and it was a good while longer before I became aware there was a lot more to the world than my immediate North. But there must have been something about it that attracted me even then.. a tune I’d heard a lot, one that the adults around me liked, a feeling I got from their feelings about it. 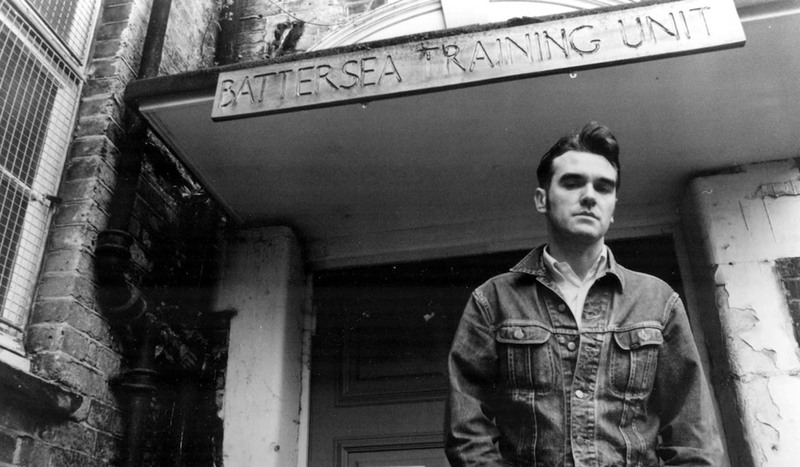 Steven Patrick Morrissey, a year or so older than me, was similarly entranced by it: “It does mean a great deal to me.. I never really understood it, but [it seemed] always a very lonely sound.” This version was the B-side to Hold On To Your Friends, from Vauxhall and I. But does this song make the list of my top ten Morrissey songs? Pop over to Toppermost for that particular rainbow’s end. If you don’t think drugs have done good things for us, then take all of your records, tapes and CDs and burn them.